1. 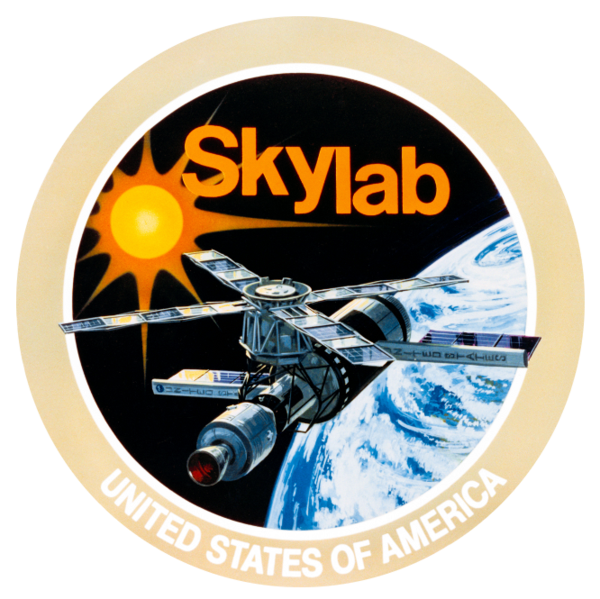 The Legacy of Skylab – I stumbled upon this 1979 documentary about Skylab, produced by NASA. 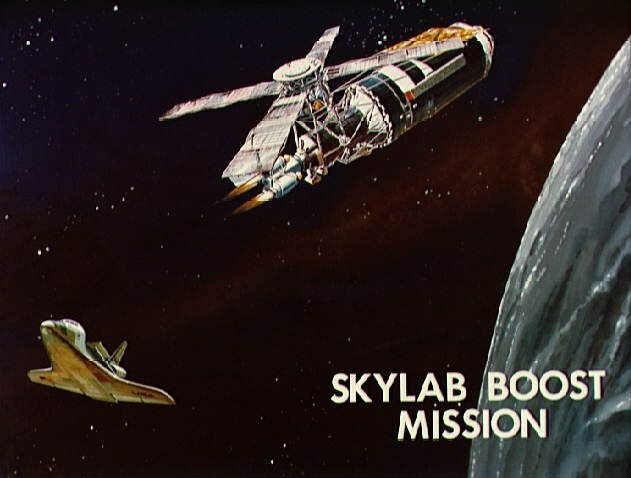 It reminded me of the fact that Skylab was, in the 1980’s elementary school science class scene, a shining example of humanity’s best foot forward. Of course, by that point several attempts had been made to correct Skylab’s orbit, pushing it further up into space to keep it alive, and it had re-entered the atmosphere and died by the time I ever set foot in a classroom. 2. 1984 Olympics Opening Ceremony – In the tidal crash of Olympic fever (which, every two years, reminds me of just who of my friends and family are transformed and inspired by the Olympic Games), I thought I’d share a video I found of the 1984 Opening Ceremonies in Los Angeles. There’s a lot to love here -80’s TV Fonts and graphics, a young-ish Ronald Reagan, but most importantly, MAN ON A JETPACK. As jaded as I get about sports and scripted mega-events like the Opening Ceremonies, I do have to admit that they are inspiring. Even if, for nothing else, the enthusiasm they bring out in those around me. 3. Boglins – I wasn’t much of a “gross-out” kid growing up. I was afraid of the gore of most 70’s and 80’s horror films (though I’m fascinated by them now), and the “gross” toys that filed the shelves in that time didn’t much speak to me, either. My three exceptions were Gremlins, Garbage Pail Kids (which my mom threw out after I left for college) and Boglins. 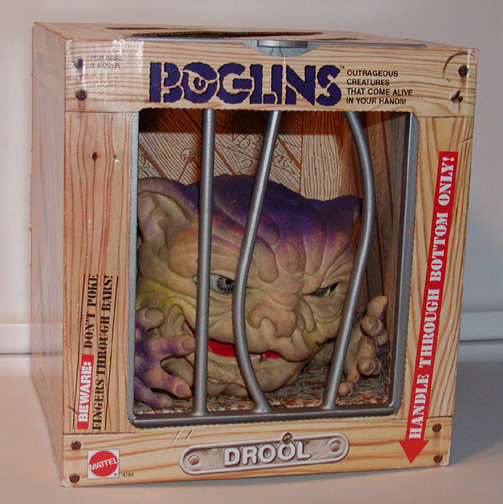 Boglins were monstrous rubber hand puppets that came in boxes designed like cages. Because they were monsters and they were trying to escape! These puppets were much more articulate than most hand-puppet toys available. You controlled their eyes and mouths, while their arms dangled lifelessly like a T-Rex’s. Still, I loved the heck out of my Boglin and for a period of years took him everywhere I went. 4. Bill Nye – I was a Mister Wizard guy growing up, and Bill Nye the Science Guy came a little too late for me, but I still have a tremendous amount of respect for the man for his ability to “carry the torch” of making science interesting and engaging for young people around the world. Since then, he’s continued to be a source of inspiration for many, and looking back through videos of his show as an adult has only increased my respect for him. Well, this week he did an “Ask Me Anything” interview on Reddit with the posters there, and I was really inspired by his comments. And the fact that he’s besties with Neil Degrasse Tyson! Check it out here. 5. Green Giant 1960s commercial – Getting a little video-heavy here, but this commercial sums up the 1960s attitude about what was important about food so well. The animation is unique and fun, and then they try to sell you your OWN Green Giant!